"We have been going to Diana Jewelers in Liverpool NY for more than 30 years. 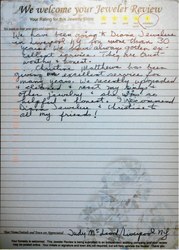 We have always gotten excellent service. They are trustworthy & honest. Christine Matthews has been giving excellent service for many years. We recently upgraded & cleaned & reset my rings & other jewelry & she was so helpful & honest. 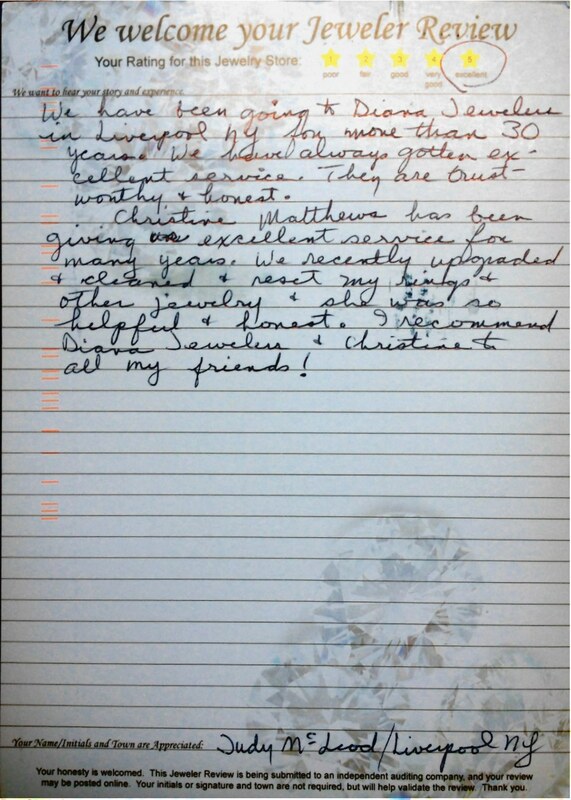 I recommend Diana Jewelers & Christine to all my friends!"